At its most basic level, the Spider-Man adjacent buddy comedy operates as a story about scientific hubris. After recovering some sludge-like alien parasites from a comet, a villainous Elon Musk type begins a series of deadly human experiments to find them suitable hosts. 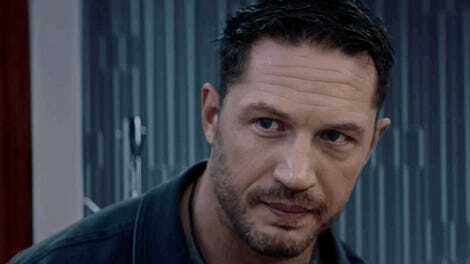 Eventually, one of these “symbiotes” bonds with Tom Hardy’s character, transforming the two of them into the toothy anti-hero Venom. Watching the symbiotes slither across the screen, my inner mad scientist took over. Soon, I was wondering if they—like Tide Pods and Carolina Reaper peppers before them—had potential as an e-juice substitute. Surely, I’m not alone. 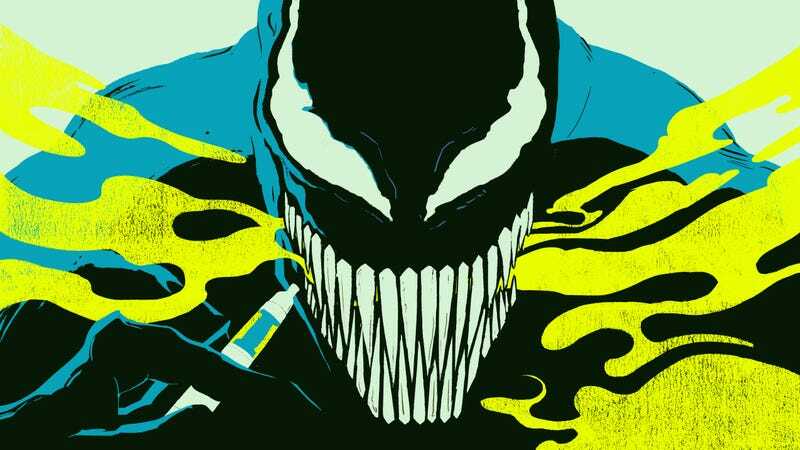 As a movie which prominently features an Eminem song in the year 2018, e-cigarette enthusiasts are presumably a major part of Venom’s audience. To help answer my question, I talked to Dr. Shane Campbell-Staton, an assistant professor of biology at UCLA. He’s also the host of The Biology of Superheroes Podcast, where he regularly applies his expertise to fantasy worlds like the one depicted in Venom. According to Dr. Campbell-Staton, the premise wasn’t totally unfeasible (by comic book standards), but the results would not be pretty. Dr. Campbell-Staton said the “key biological question” was whether the Venom symbiote could survive the vaporizing process, which would convert the alien life form from a semifluid into an inhalable aerosol. Of course, for Earth’s non-comic book organisms, the effects of being vaped would be deadly. Ultimately, the technical challenges of vaping a living alien are probably less important than the likely outcome. “Given its short temper and general disregard for human life, I imagine that after enduring such an unpleasant experience, the alien entity would devastate the body of its ill-advised host in an imaginative onslaught only fit for R-rated cinema before finding another body to inhabit,” said Dr. Campbell-Staton. Finally, science had given me an answer. But what did the creators think? To find out, I contacted numerous artists, writers, actors, and directors who had worked on various Venom-related projects. Strangely, most did not respond to my queries. The lone outlier was writer Robbie Thompson, who penned Venom: Space Knight and offered me an interesting lead. He claimed that Ryan Stegman, the artist on Marvel’s current Venom comic book run, had actually vaped the Venom symbiote. “I became the queen (don’t ask) of klyntar,” said Stegman on Twitter, referring to the fictional celestial body known as the Planet of the Symbiotes. According to one person, at least, vaping Venom might end not in death, but in glory.